like the panting which occurs after violent exercise, or like an aspirate pronunciation of the interjection Ha! The pulse, respiration and speech were not in the least disturbed….It was very loud at times, and in general was but too audible in all parts of a common-sized room. It will be right to remark, that for a year previous to the coming on of this strange malady, the lady had lived very entirely on a vegetable diet, taking occasionally a little elder wine. But that was not all: they recommended that she abandon her vegetarian diet, start drinking wine and take regular exercise on horseback. But alas! The patient, after making use of various means, was not in the smallest degree relieved; and being anxious to try the effect of change of air, and to obtain the advice of the faculty in England, repaired thither in August: Her health otherwise was much in its usual state. In the subsequent December, the lady returned to the Isle of Mann, where she remained well till May 1800, when she was attacked with her old malady, in all its circumstances exactly as before, only perhaps, on the whole, not so violent. This time Dr Scott tried a new drug, sulphur. He was pleased with the results, but insisted on further measures. She was enjoined not to speak, — to remain in bed a day or two, — to have the room dark, — and, in short, to give as little irritation to the system in general, and the lungs in particular, as possible. This brought about a happy end to the case; but beware! 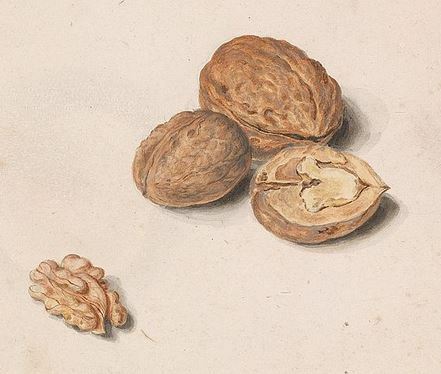 Avoid walnuts. The patient is at present (August 1st 1802) very well, but has had, very rarely indeed, some returns, seldom, however, for a longer period than half an hour, very mild, and gradually declining, not preceded by any particular cause. One evening it occurred after some walnuts had been eaten, but was almost instantly stopped by violently pressing the wrists.